Confessions of a Chilihead: Have You Got a Secret??? 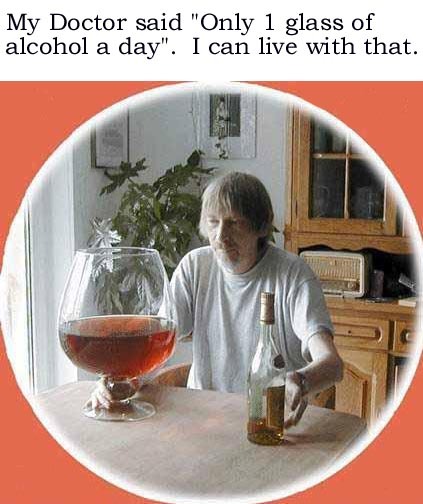 When I was in Alanon (12-step group for families and loved ones of alcoholics) many years ago, I learned that a secret shared is a secret halved. Very therapeutic and healing that. Simply speaking a secret removes half of it's power. Speaking it over and over again, ultimately not only removes it power but, I believe, eliminates it entirely. It's the reason why such groups are so effective for so many people. Sometimes I am really glad that my first husband killed himself; and sometimes it really makes me want to cry... I suppose that would be a secret worth sharing. Certainly not one I would need to be anonymous for, not if you know me, certainly, it's not a secret that I would creatively etch into a postcard and sent to PostSecret... or would I? What is PostSecret you ask? Well, I found it by Googling "What is the most read blog". Please put your complete secret and image on one side of the postcard. Be brief - the fewer words used the better. Be legible– - use big, clear and bold lettering. Be creative - let the postcard be your canvas. And the best postcard I found is this one. ...uh, I don't 'get' the post card you put up? What am I missin? Please explain it to me?? i think what it means arabia is that the person who submitted it used 9/11 as an oportunity to just disappear and start over. 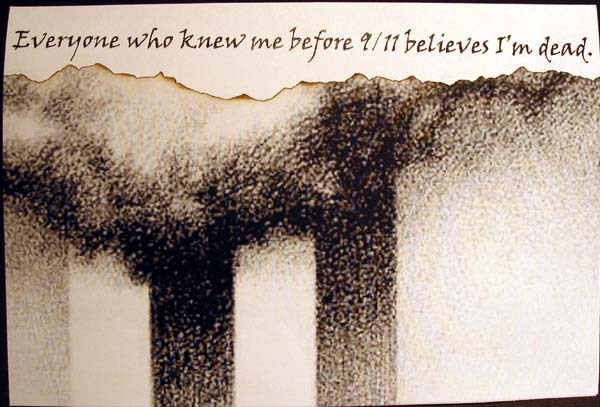 that everyone they knew before that now believes the person died in the collapse of the towers. How eerie is that? Using tragedy and grief to simply walk away from life. Wonder just how bad it has to be for someone to do that -- if it is, in fact, true.